Our lightweight and folding exam desks are incredibly easy to setup, making them the top choice for schools, colleges and universities. The steel frame ensures our exam tables are very robust, while the laminated beech effect finish is hardy and easy to keep clean. We offer exam desk hire at affordable rates and we have huge stocks available. 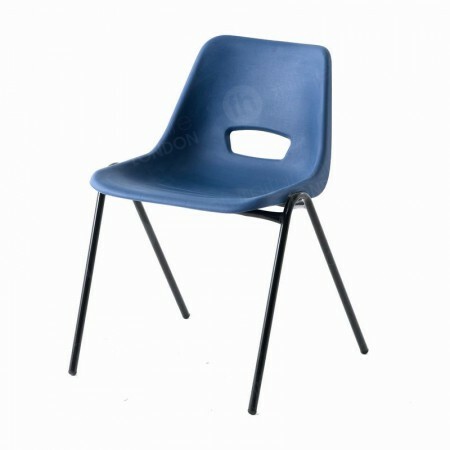 Students sitting exams may be unaware that they’re leaning on a furniture hire product that has a very long history in terms of its design. Ancient Egypt is well known for being the location for many historic sites, but it’s also connected with an object many people use throughout their days - tables! Evidence suggests that some of the earliest tables hailed from this era, including those that fold. Of course, the design of folding exam tables has been developed over the years, and today we can offer a highly modern and convenient product. As you might guess, this product is perfectly at home in schools and other educational institutions holding assessments, but we’ve also delivered them to many other kinds of London venues - including city centre offices for workplace tests, as well as conferences in the capital. These are just some of the example where our folding exam desk hire range can be used, but there are many more too. 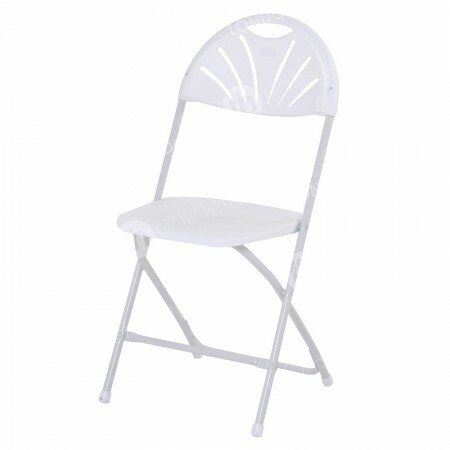 Any furniture hire item that folds is immediately very practical. Even the ancient Egyptians appreciated this feature in tables, so it’s believed they invented the first one! The popularity of folding products doesn’t appear to have waned over the following few thousand years… and by the Victorian era they had become established in homes and business premises across the land. This very handy folding feature was integrated into many different types of tables, from card tables, to banquet and picnic tables - to name but a few. We can’t forget to mention exam tables too, but why is a table that folds so incredibly useful? The main reason why many people - including our customers - like this type of item is down to space. Folding tables are easier to transport in batches - which is passed on as a customer saving when it comes to deliveries - and they’re convenient to store as well, because they don’t take up much room, fantastic when you’ve chosen them for long term hire, but don’t plan to use them around-the-clock. Another great reason why our folding exam tables are so popular, is because they are very straightforward to install. All you need do is unfold the legs, set them upright and they’re ready for use. 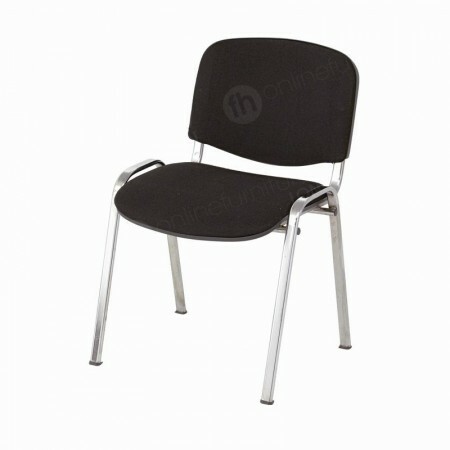 There are other aspect to the design of this product line that boosts their popularity even more. 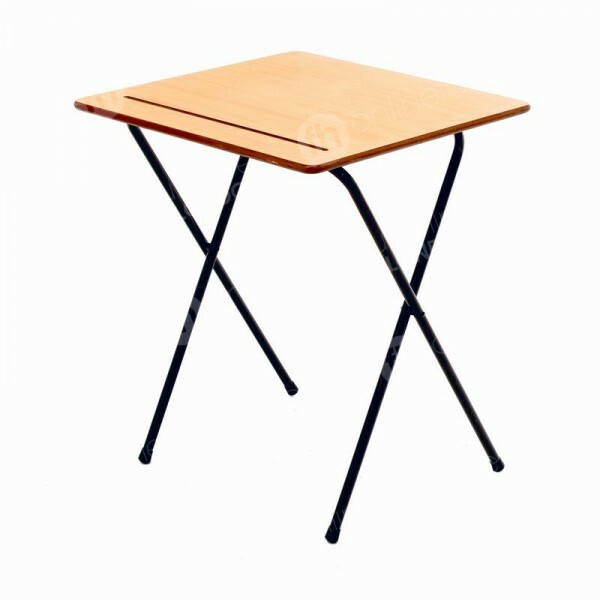 The slim beech top is robust and very light too, as is the metal frame, so setting them up hardly takes any effort at all - and best of all we offer fantastic rates on our folding exam tables so your assessments are very affordable to arrange. We also have a great range of seating to rent in combination with this item, top choice include our blue or black polyprop chair, as well as our blue or black stacking chairs. I need thousands of exam desks for upcoming assessments - do you have enough? Yes. We regularly transport huge quantities of exam desks across the capital and beyond, with lots of orders numbering in their thousands. This is down to our large warehouses in London and other major UK cities. Very - just unfold and they’re ready for use. We also pack and wrap them on pallets so you can move them around in large quantities in exam halls.